Arguably film form is composed of two essential building blocks – The Shot and The Cut – when assembled, the combination of the shot and the cut create the finished film. This has been contested, but we’ll return to that discussion at a later date. One of the shots available in the film-makers’ armoury is the close-up: the framing of an actors face or prop at close range used as part of the story-telling to give emphasis to an object or the interior emotions of a character. The framing techniques have their precedents in art and photography. Early film directors were resistant to the intimacy of the close-up shot, taking their cues from theatre and framing the action from a distance with full-figure shots with the occasional mid-shot. One of the earliest examples of a close-up is the extreme close-up used by G.A. Smith in GRANDMA’S READING GLASS (1900) where a black circle of card is used to provide the perspective of a magnifying glass. Scandinavian and German film-makers began intercutting close up shots to demonstrate the psychological perspective of their characters. In the late silent era, Hollywood began to introduce the close up, with a soft focus to present idols in the emerging star-system. The camera positions in a close-up also provide visual clues in the pattern of the story-telling – showing the power or vulnerability of a character – for example, the close up of Harry Lime in THE THIRD MAN is angled to demonstrate a world out of kilter, or to give emphasis to an object or expression. 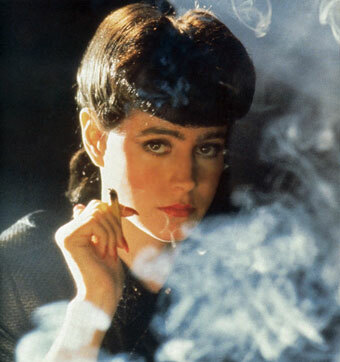 The close-up has become more and more prevalent as it suits home entertainment – the framing suits the small screen. The increase of usage is also attributable to the star-system as they began to insist on contractual quotas on the close ups. I think close ups were best in silent cinema “I’m ready for my close up now Mr Demille ” the final line in SUNSET BOULEVARD (1950), a film about a faded silent film star, Norma Desmond played by real life silent film star Gloria Swanson. Von Stroheim who played Desmond’s butler, was one of cinemas great close up directors, look at any scene in QUEEN KELLY (1929), GREED (1924) or THE WEDDING MARCH (1928). 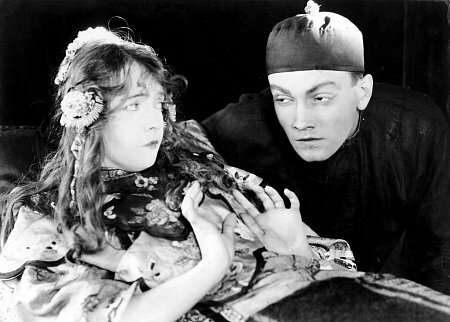 DW Griffith was the first American to really use close ups in THE BIRTH OF A NATION (1915), but just as well are INTOLERANCE (1916), BROKEN BLOSSOMS (1919) and WAY DOWN EAST (1920). I love GWPabst’s use of Louise Brooks in DIARY OF A LOST GIRL (1929), Rupert Julian’s use of Lon Chaney in THE PHANTOM OF THE OPERA (1920) and Victor Sjostrom’s use of Lillian Gish in THE WIND (1928). In the early days of sound, silent directors still used close ups such as Fritz Lang’s M and Tod Browning’s FREAKS (1932). In the 60’s Leone was best at the use of close ups in THE GOOD, THE BAD AND THE UGLY (1966) and ONCE UPON A TIME IN THE WEST (1968). An incredible film. A genuinely harrowing depiction of the trial, torture and execution of Joan of Arc for heresy. Dreyer’s approach is humanistic and he avoided the fictionalised accounts of the story and went to the actual record of the record of the trial at the Chamber of Deputies. To give his source material additional weight, the opening shots depict documents being retrieved from the archive. 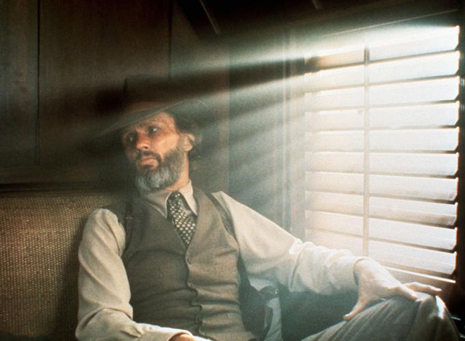 There are three elements to the film that make it a triumph of film-making. First is the adaptation of the material. The original sequence of events almost took a year to reach the point of execution. 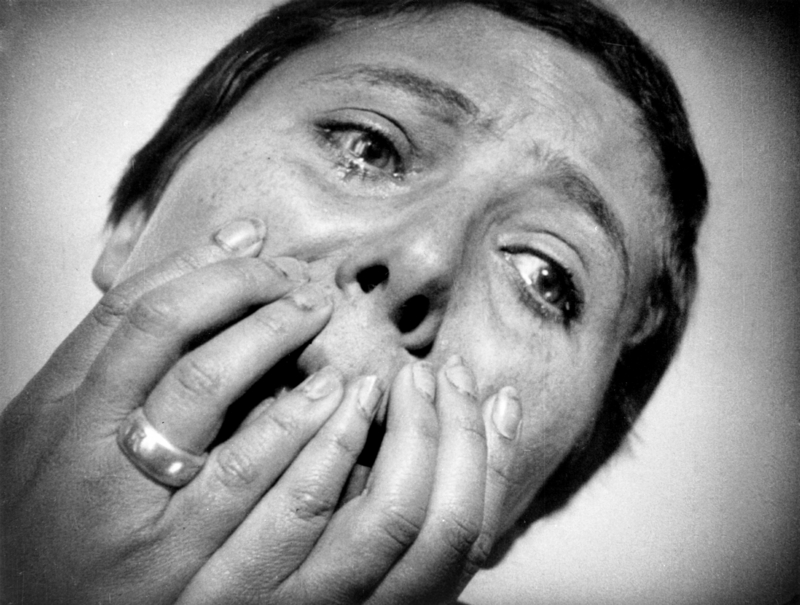 The essential elements are effectively compressed to focus on the torment and the strength of Joan’s conviction and the noble futility at her blind-faith – in Dreyer’s adaptation, she becomes a modern figure facing the slings and arrows of the fundamental questions of life. By removing the political and making it less religious, he makes it a moving human story. The second element is the central performance by Renée Maria Falconetti, a theatre actress who had never appeared in films before, or since, this is her only screen appearance. This performance is extraordinarily expressive and conveys the range of emotions in a deep and human manner. Her beautiful eyes capture the fear, elation, hopelessness and agony that Joan must have faced during the trial. There have been various speculation about how Dreyer was able to achieve the intensity within the performance. There are stories of him subjecting various indignities upon her to reach the sense of genuine agony that he wanted. Later in life she had a complete mental break-down and committed suicide in 1946, leading some to attribute Dreyer’s methods as a contributing factor. This is denied by her family who confirm that she had a life time of mental illness and her eventual crisis were unrelated to her performance in the film. Dreyer also defended his methods in interviews, explaining that the performance seemed genuine because it came from within Falconetti – she knew what was right – he guided her to what has become one of the most astonishing performances in cinema history. Finally, the third remarkable factor is the subject of this Film School lesson, the use of close up. Dreyer had been fascinated with the potential of close up since watching Griffith’s INTOLERANCE (1916) in a cinema in his native Denmark. He looked to push it relentlessly to develop a new film form that was able to concentrate upon the complexity and expressiveness of the human face in a way that the theatre stage was unable to achieve. His experiment within THE PASSION … was to create something like a film ‘portrait’. I know that this use of close-up was in open conflict with the theoretical principles that were the basis of film-making, but for me the close-ups were absolutely necessary. I don’t know how I could have possibly told the story of Joan’s trial and death if I hadn’t have help of the close-ups in getting the viewers completely inside Joan’s and the judges’ hearts and souls. But its quite true that my idea of telling the story of Joan’s agony in close-ups hardly followed the rules of a ‘proper’ dramatic film. There was an unwritten rule that the close-up should function as part of a long-shot’s ‘harmonic’ completeness and as a detail in the overall pattern of the material. Then came along my close-ups which sprang unannounced from the screen and insisted on their right to an independent existence. This is first time that I’ve seen the film with music. Dreyer asked for it to be played in complete silence. The combination of the close-up and the clearly mouthed screen-play, it hardly feels like a silent film at all. I asked members of the Dirk Massive to provide their best examples of the use of close up and it brought up some interesting results. @TheNarrator26 recommended THE GOOD, THE BAD AND THE UGLY (1966), PSYCHO (1960), JAWS (1975), A CLOCKWORK ORANGE (1971) and SUNSET BOULEVARD (1950). @dudefoz at towatchpile.co.uk , after a bit of head scratching, suggested APOCALYPSE NOW! (1979), FIRE WALK WITH ME (1992), THE GODFATHER (1972), ALIEN 1979) and HEAVENS GATE (1980).